Justice James M. McGuire represents clients in securities-related and other complex commercial litigation as well as white collar and regulatory matters. All of his work is informed by deep experience in the judicial and executive branches of New York state government, including his previous service as an appellate and trial court judge. In private practice, Justice McGuire’s extensive experience with securities litigation and enforcement matters includes his successful efforts to secure approval of Bank of America’s historic $8.5 billion settlement with investors in failed residential mortgage-backed securities. He also has significant experience representing clients in white collar matters, regulatory proceedings, and bankruptcies. His team’s work on a precedent-setting cross-border restructuring—the first case in which federal courts articulated standards applicable to global businesses filing for Chapter 15 bankruptcy—earned distinction in the Financial Times’s Top U.S. Innovative Law Firms competition. Justice McGuire has argued appeals before the New York State Court of Appeals and other appellate courts. His current appellate practice includes representing two major insurers in their appeal, along with other insurers in excess of $250 million in a coverage dispute arising from an SEC disgorgement payment made by the insured financial institutions, and representing the issuer and guarantors of a $150 million debt issuance in an action brought by dissident holder of a small minority of the debt. He has served as an arbitrator in an International Chamber of Commerce arbitration, and is currently serving as an arbitrator in three ICC arbitrations and in an American Arbitration Association commercial arbitration. He also has acted as mediator in cases before the United States District Court for the Southern District of New York. His extensive government service includes, most recently, his tenure as an associate justice in the First Judicial Department of New York State’s Appellate Division and, before that, as a justice in the 11th Judicial District for the Supreme Court of the State of New York. Justice McGuire also previously served as New York Gov. George E. Pataki’s chief counsel, a role in which he advised the governor on all legal issues affecting the state, including those arising from the 9/11 terrorist attacks. Earlier, he served as First Assistant Counsel to the Governor, where his responsibilities included advising on criminal justice legislation. Before joining Holwell Shuster & Goldberg, Justice McGuire served as a partner with Dechert LLP. 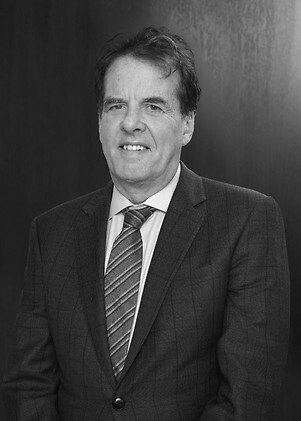 He also previously practiced at White & Case LLP and Skadden, Arps, Meagher & Flom LLP. Lender entities of major financial institution on a successful appeal of an order that would have permitted debtor, contrary to forum selection clause, to litigate the validity of a $120 million loan in its chosen forum. The Bank of New York Mellon, as trustee of residential mortgage-backed securitization trusts, in litigation successfully securing approval of a $8.5 billion settlement with Bank of America Corp. in connection with 530 RMBS trusts. An ad hoc group of creditors in connection with the highly contested cross-border restructuring of approximately $1.6 billion in defaulted senior notes issued by Mexico’s largest glass manufacturer, Vitro S.A.B. de C.V.
A New York real estate investor in connection with a complex commercial dispute concerning the control of several national nursing-home companies and related fiduciary duty claims against the operating companies’ owners. Then-Gov. George Pataki in landmark litigation between the governor and legislature over their respective constitutional roles in the budget process. The New York County District Attorney’s Office, for which he argued and supervised appeals before state and federal appellate courts as Deputy Chief Counsel of the Appeals Bureau.